Take a walk on the wild side when you visit Disney’s Animal Kingdom theme park. Guests of all ages love this park that is so much more than a zoo. And, adults in particular will love the exhibits, educational experiences, attractions, and shows here. 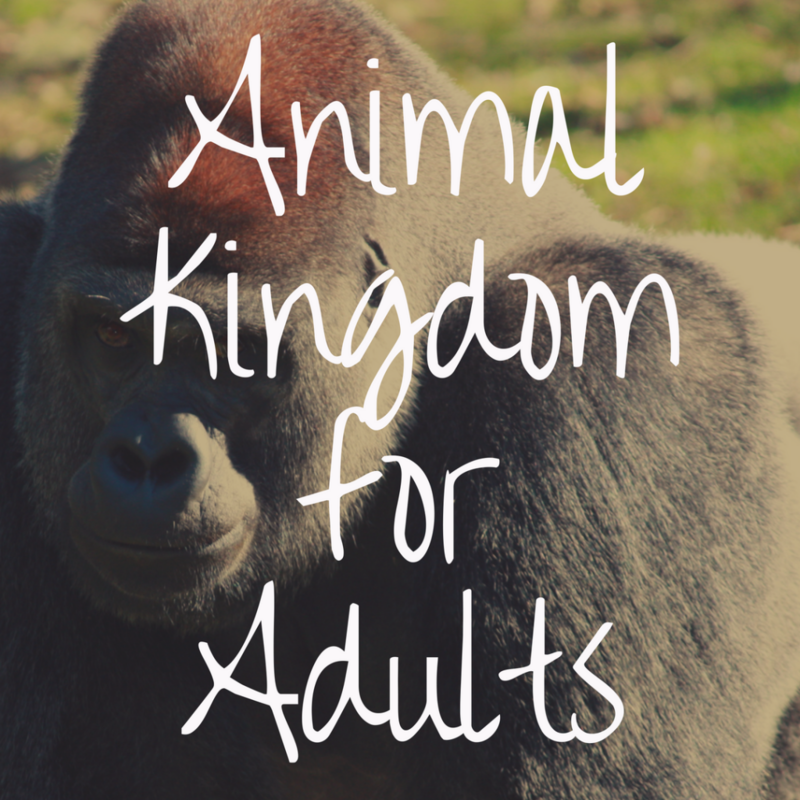 We’ll take a look at why the Animal Kingdom is the best Disney park for adults by exploring all that this park has to offer. We’ll take a look at some of the most popular attractions, restaurants, entertainment, and other considerations that make the Animal Kingdom the perfect park for adults to visit at Disney World. Many guests who visit Disney’s Animal Kingdom might think that there’s not a lot of attractions in the park. But, that couldn’t be further from the truth. In fact, the Animal Kingdom is home to some of the most popular attractions at Disney World and ones that are extremely popular with adults. Kilimanjaro Safari gives guests a chance to go on their own African safari and see animals on the savanna. We especially love going on this during the daytime and nighttime for totally different ride experiences. For those who love to take photos, this is a photographer’s dream — with unique up-close animal experiences. For those adults that prefer thrill rides, there are several attractions to get your ride on. Expedition Everest is a huge favorite for guests who like roller coasters. Dinosaur is a popular dark ride that’s a blast into the past. But, if you want to try something completely new and different, Pandora: World of Avatar is a must visit. This land is home to some of the newest Disney World attractions, including the Flight of the Banshee. This ride uses never before experienced ride technology and is one of the most unique attractions you’ll find at any theme park. 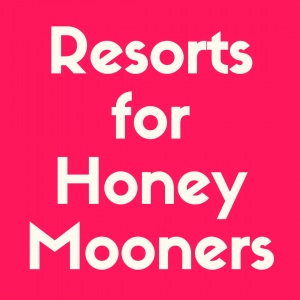 It’s also best experienced as an adult, as it can be a bit intense for younger guests. 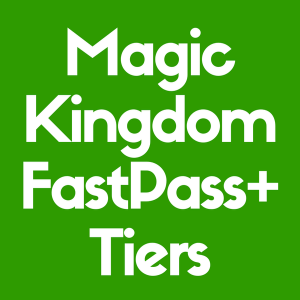 For those who prefer slower attractions and shows, there are also a lot of options. Guests who love Broadway style shows will enjoy the Festival of the Lion King and Finding Nemo the Musical — both of which offer high quality entertainment and performances. For those that want to experience animal-centric shows, check out the Flights of Wonder show. It includes live bird demonstrations that will delight and amaze. Overall, adults will find that the Animal Kingdom attractions offer something for all preferences and ride styles — from classic dark rides and thrill rides to unique experiences and shows. When it comes to unique options, adults will love the restaurants at Disney’s Animal Kingdom. The restaurants in this park are perfect for adventurous eaters and for those who want to try something different. The park is primarily made up of quick service restaurants, but you’ll also find a few table service locations that serve food you’ll want to transport you to Africa, Asia, and even other planets. Here are some of our recommendations for restaurants to dine at when you visit the Animal Kingdom. Yak & Yeti: If you like Asian or Pan-Asian food, the Yak & Yeti is a great restaurant choice. This table service restaurant located in Asia, has a large menu with a wide variety of options that will please just about every palate. The restaurant is gorgeously themed, with actual authentic art from Asia. And, the food is excellent with generous portion sizes too.If you want to enjoy an adult beverage, check out their full selection of drinks. The Yak Attack is one of their signature drinks and a must order on a hot day in the park. If you prefer Asian food but want to skip the table service location, you can also visit the Yak & Yeti Local Foods Cafe outside which serves quick service options too. 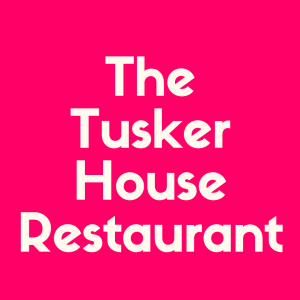 Tusker House: For those that want to experience a character meal in a park, check out Tusker House. This is a perfect character meal for adults looking for all-you-care-to-eat meals that are more than just chicken tenders, macaroni & cheese, and prime rib. You’ll find the safari themed character meal to include African and Indian flavors — but all featured in a very approachable way. We’ve found that even finicky eaters enjoy the food here.But, if you’re concerned about options, dine at breakfast when the food is more standard fare like scrambled eggs, waffles, and bacon. If you’re participating in the Rivers of Light dining package, this is one of our picks for restaurant options. Tiffins: If signature dining is more your speed, you can’t get any more signature than Tiffins. Located near the entrance of Pandora, this table service restaurant serves some of the most unique found anywhere at Disney. 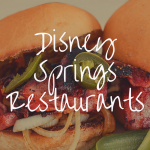 And, it might just be one of the best restaurants at Disney World.So, if you’re a foodie, this restaurant is a must do for you. It’s also great for a romantic evening out or for a special occasion. We also love eating here for lunch because they offer a lunch sampler that lets you try out several small versions of the dishes on the menu at a reasonable price. Sat’uli Canteen: If you’re visiting Pandora, you simply have to dine at Sat’uli Canteen. This quick service restaurant is unlike any other you’ll find at Disney World. You’ll get to choose from custom bowls that include rice, quinoa, potatoes, or salad topped with chicken, steak, or tofu. We love the flavor combinations and that you can totally customize your dish so that it’s different on every visit.Or, if you don’t prefer a bowl, you can also try their steamed pods that include vegetable curry or even cheeseburger. The restaurant also carries several signature beers and wines made exclusively for Pandora. So, if you want an adult beverage, be sure to get one of these unique drinks. Sat’uli Canteen also serves breakfast for those who want a hearty breakfast in the park. Flame Tree BBQ: For quick service, we have to say that Flame Tree BBQ is one of our favorites. It’s popular menu includes standard BBQ fare like ribs, chicken, and pulled pork sandwiches. This restaurant is so much more than burgers and fries. And, we love that. So, if you’re craving BBQ, Flame Tree is the perfect pick in the Animal Kingdom park. There’s a lot of entertainment options at Disney’s Animal Kingdom. So, it can be hard to decide what to see and do. 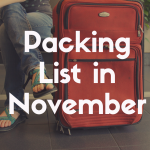 But, there are a few must-do’s that are extremely popular with adult guests visiting the park. Here are some of our favorites. Harambe Entertainment: Africa is home to some of the best live entertainment you’ll find on Disney property. From singers to bands and even acrobats, there’s something to appeal to everyone. But, most of the live entertainment in Harambe are actually not listed on the times guide. We recommend visiting in the afternoon or early evening, grabbing an alcoholic drink at the Dawa Bar, and waiting for the live entertainment. Chances are, you’ll get to see at least a show or two — while sipping on a Safari Amber beer or Sugar Cane Mint Mojito. Rivers of Light: This nighttime show is unlike any other show you’ll find at Disney. Featuring water projections, light, and some of the most unique water floats, you’ll feel inspired and transported when you watch the show. To get reserved seating, be sure to book the Rivers of Light Dining package which includes dinner and reserved seating for the show. Tree of Life Awakening: Featured nightly is the Tree of Life Awakening. This impressive show runs every 10 minutes and highlights different animals projected onto the Tree of Life. There are several different versions of the projections, so we recommend viewing the show at least a few times during your visit. With Pandora newly opened in the Animal Kingdom, this park is even busier and more popular than ever. Adults visiting this park should plan to visit during the daytime and nighttime to experience the park during both times of day. And, this is most important at Pandora. That’s because during the evening times, Pandora transforms into a bioluminescent wonderland. Experience new sounds, lights, and glowing plants as you walk through this new land. It’s a hands down must-do for any visit. If you’re staying on property and visiting the Animal Kingdom, consider transportation too. We love this park, but getting to and from our resort to the park can take a long time, unless you’re staying at the Animal Kingdom Lodge located nearby. If you’re not up for long travel times, we recommend driving or taking a cab when you go to this park to maximize your time and avoid long travel times. Disney’s Animal Kingdom theme park is truly unique — with beautiful landscaping, themed lands, and impressive attractions. For adults visiting this park, you’ll find the variety of entertainment and quality of the food and drinks to be a step up from standard theme park offerings. With just one visit, we know you’ll be as wowed as we are with the park and want to plan to visit again and again.